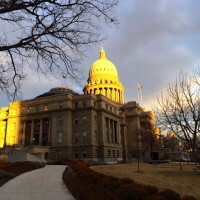 A Washington, D.C.-based think tank says Idaho is one of 29 states that does not require effectiveness data to influence teacher dismissals. The National Council on Teacher Quality‘s latest nationwide analysis of teacher effectiveness and personnel policies compares dismissal and layoff guidelines among all 50 states and Washington, D.C. While 38 states, including Idaho, require regular teacher evaluations, most “do not acknowledge that teachers can and should be dismissed for the simple reason that they do not teach well,” the NCTQ notes. Fear of legal reprisal has shaped the reluctance to base dismissals on performance, says NCTQ President Kate Walsh. “Districts tend to reserve their energy and sparse resources to pursue dismissals that cannot be easily challenged in a court of law, such as when a teacher has committed a crime or come to school inebriated, and not even try to dismiss a math teacher who simply cannot teach math,” Walsh wrote in a prepared statement. All 50 states have at least some laws on the books enumerating why teachers can be dismissed, from unprofessionalism to illegal behavior, the NCTQ notes. Disclaimer: The J.A. and Kathryn Albertson Foundation donate to NCTQ and fund Idaho Education News.